The art galleries of Anaheim and Orange County err on the side of contemporary, while the best educational facility is the California State University Fullerton Grand Central Art Center in nearby Santa Ana. 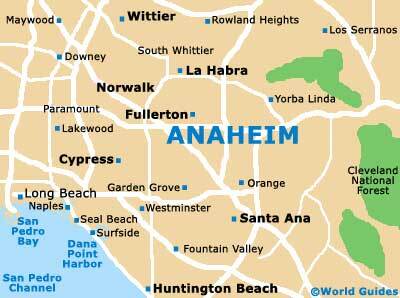 Further galleries close by can be found within the neighboring resorts of both Laguna Beach and Newport Beach. Modern art in the Anaheim area can be viewed in abundance at the Orange County Center for Contemporary Art (OCCCA) and at the Santora Arts Complex, while the Fingerhut Gallery contains an impressive collection of great works from around the world. Tourists in Anaheim may also like to check out the Orange County Museum of Art (OCMA), which was founded in 1996 and now comprises some 2,500 works, ranging from paintings and sculptures, to photography and digital installations. 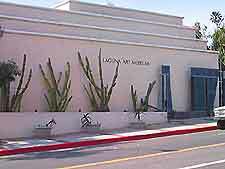 Located in a busy entertainment area near Laguna Beach and right next to Alito Park, the wheelchair-accessible Laguna Art Museum is just over 25 miles / 40 km away and to the southeast of the city, where it features frequently changing exhibits showcasing the works of California artists. Historical, contemporary and emerging works can all be seen here, while there is also an art rental and sales gallery at the museum store. Tours run daily at 14:00. Located in downtown Santa Ana, just 10 miles / 16 km south of central Anaheim, the California State University Fullerton Grand Central Art Center occupies a huge area of 45,000 square feet / 4,200 square meters and encompasses a full range of art and educational functions on all three floors. Aspects include the Grand Central Gallery, the Grand Central Theater, a rental and sales gallery, and various student educational facilities of the highest standards. Nearby attractions include Birch Park, Flower Street Park and the Fiesta Marketplace Shopping Center. The cozy Fingerhut Gallery of Laguna Beach stands close to the Main Beach Park and has a huge variety of art works by masters from around the world, including the likes of Jiang, Colleen Ross, Rembrandt, Joanna Zjawinska, Byron, Matisse, Miro, Picasso, Tom Brewitz and many more. Countries represented here include China, France, Mexico, Poland and the US. Often referred to as the OCCCA and set within nearby Santa Ana, the Orange County Center for Contemporary Art provides the ideal setting for both up-and-coming and established contemporary artists in which to explore new avenues and discuss new ideas. There are various exhibitions held here throughout the year, with constantly changing galleries. Of note, the CSUF Grand Central Art Center is situated just a matter of minutes away, being within easy walking distance. A collection of abstract expressionist paintings, as well as some striking contemporary works, are showcased at the Orange County Museum of Art. These works are all by Californian artists and some items can be viewed for free at the South Coast Plaza Mall. Of note, the Orange County Museum of Art is near to the Newport Beach Country Club and Fashion Island, and lies roughly 14 miles / 23 km to the south of the city center. Located in a historical building in the center of Santa Ana, the Santora Arts Complex has a mixture of trendy art galleries and studios, where contemporary artists can be seen at work.